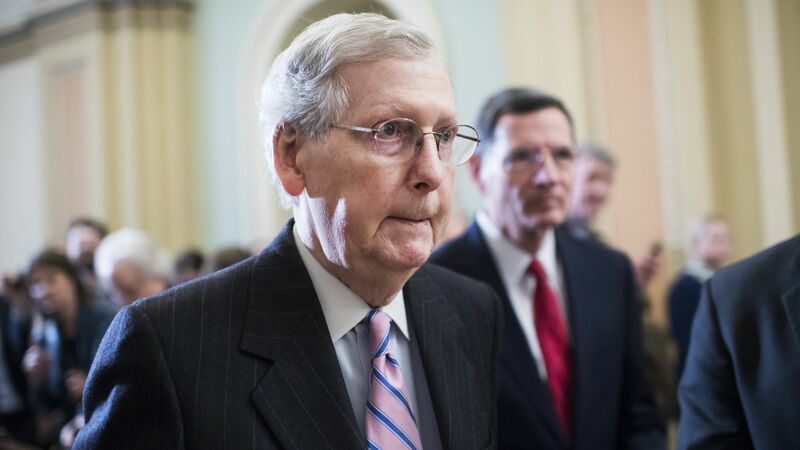 Senate Majority Leader Mitch McConnell has blocked a non-binding resolution to make special counsel Robert Mueller's full report public. The big picture: The resolution was passed unanimously in the House, and President Trump himself said earlier Monday that it "wouldn't bother [him] at all" if the full report was released. McConnell cited national security concerns for his decision to block the resolution, and he argued that Attorney General Bill Barr should have time to decide what's made public. Senate Minority Leader Chuck Schumer, who put forth the resolution, said that it does not specify a time frame.